OMEGA’s PX26 Series pressure sensors feature state-of-the-art silicon technology which permits both sides of the diaphragm to handle liquids. 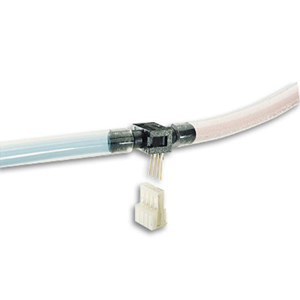 A unique conductive seal between the silicon diaphragm and the plastic housing allows for wet/wet applications and lower production costs than typical gold wire silicon sensors. This new construction has a larger diaphragm than traditional silicon sensors, resulting in increased long-term stability. 注: Comes with comlete operator's manual.